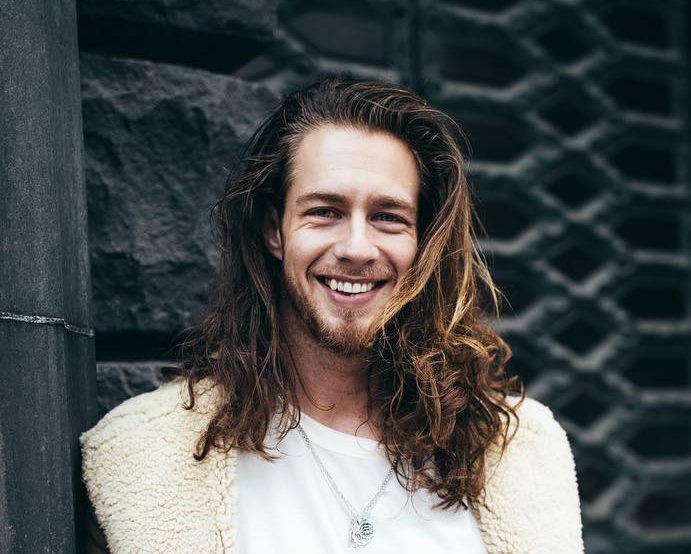 The natural texture of your hair can determine the best long hairstyles for men you can adopt especially if you are looking to grow long hair. 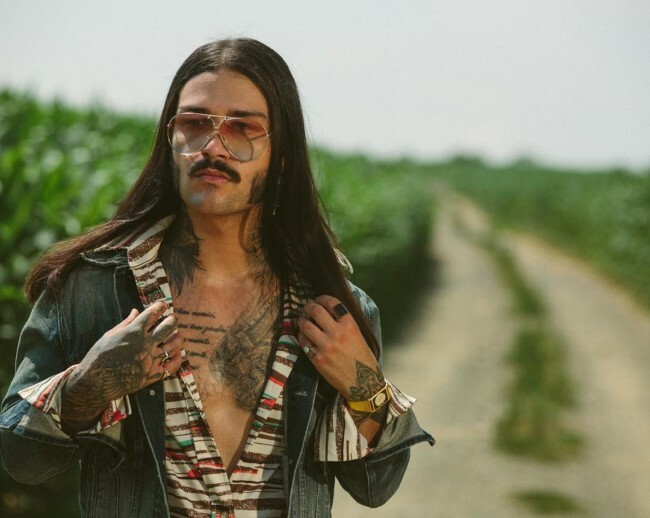 Having long hair shows that you have good genes and there are plenty of choices for men who wish to grow their hair to the maximum. 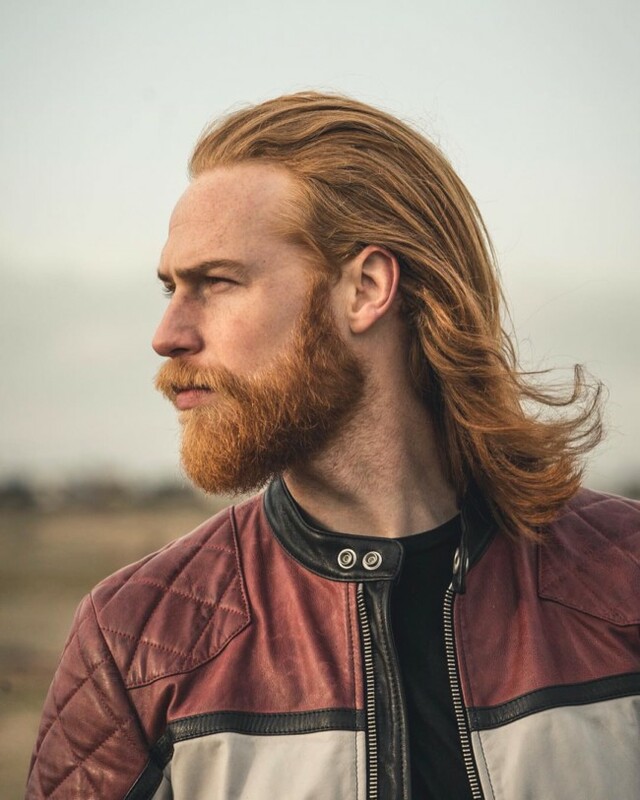 If you are one of those guys who would wish to rock the look with long natural hair, it is most likely that you have gone through an endless search on what can do best for you. 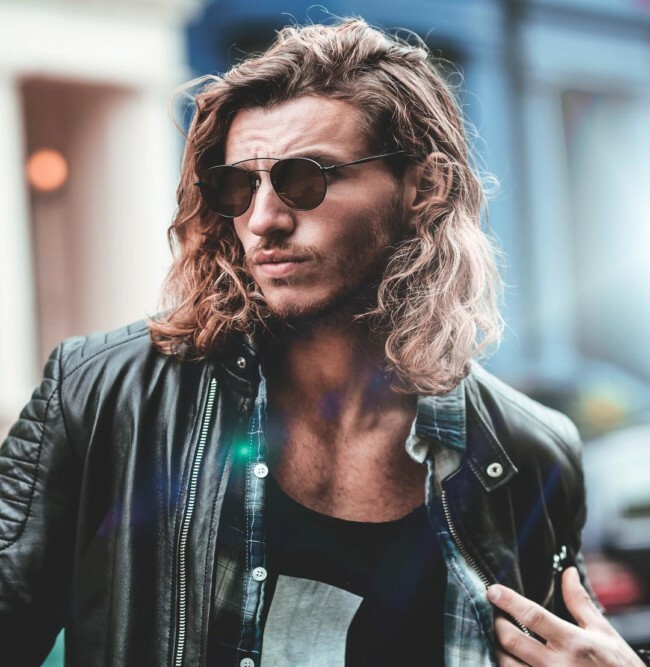 Fortunately, we came up with a list of the best long hairstyles for men that you can try out. Whether you need longer hair options or you are considering growing out your hair, there is a cool hairstyle for you! If you want to pull off this look, you will need naturally long hair that can help weigh down curls. It works great with perfectly trimmed beard and a little product can help make the hair flow more manageable. This is a classic hairstyle that suits men of all ages and fits perfectly in different face shapes. The textured pompadour swaps the high-shine and clean lines of your hair to a tousled look of a time-honored style. Thin and tightly woven synthetic dreadlocks showcase high quality and is always available in various lengths and color shades. It’s a creative way to style your dreads when you have thin or fine hair. If you are looking for another alternative of the pompadour, you will definitely like this version. It is a hairstyle highly sought by modern celebrities because they bring out your inner look while exposing your long natural hair. This hairstyle combines the best elements of both worlds because it is a little bit messy but also sleek at the same time. A low bald fade with beards determine your overall look and you will need a little product to spice up the quiff. 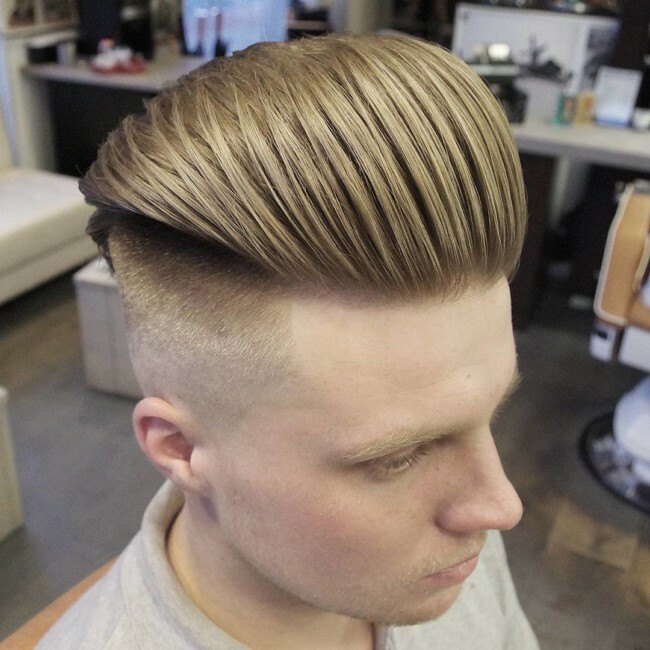 The popularity of the fade in this pompadour is to bring neatness and structure to what would have threatened this haircut. 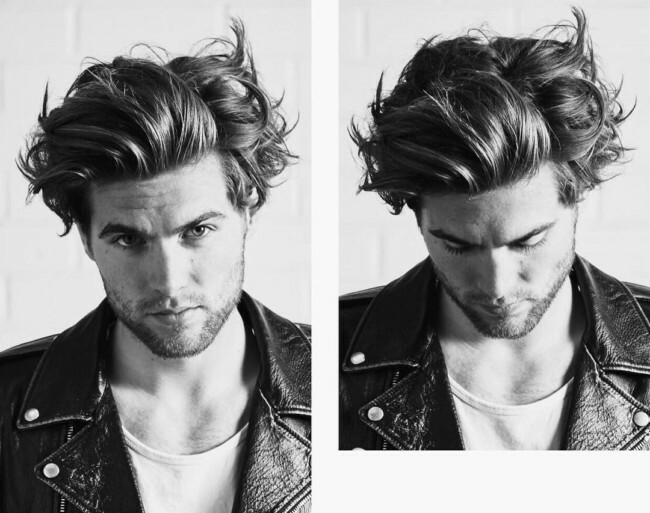 Messy pomp demands long hair volume at the top and is a hairstyle that requires high-maintenance. Growing a longer hair can help you make several choices when it comes to the high Ponytail styles for men. 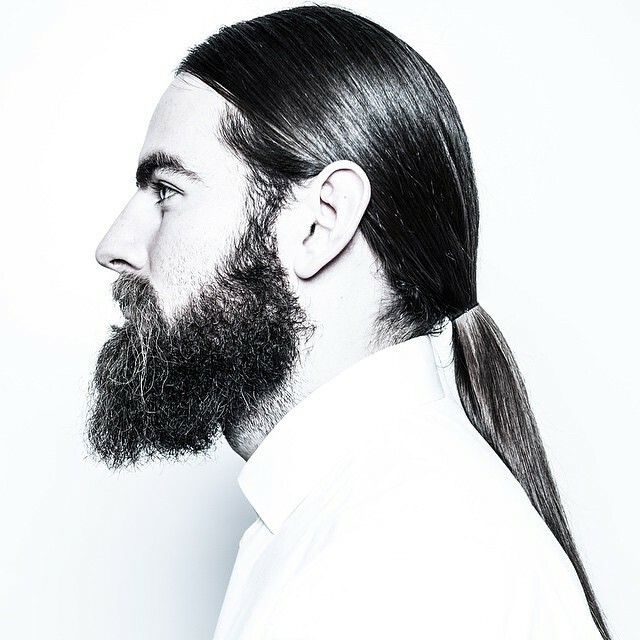 The sleek low ponytail is easy to manage and having a full beard that is well-groomed determines your overall appearance. 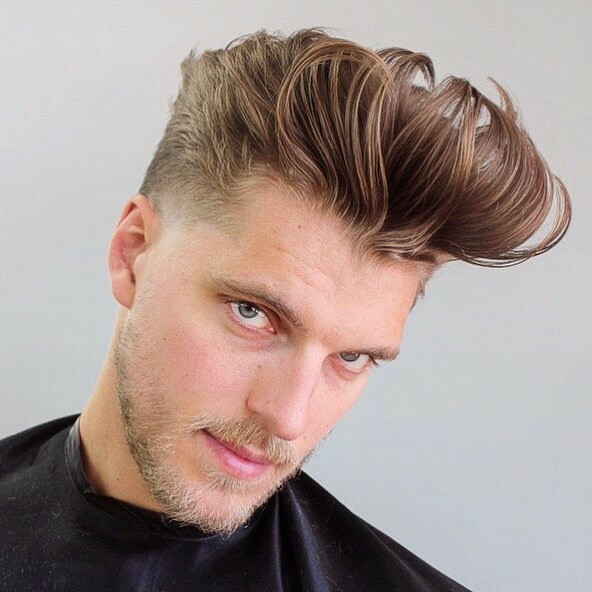 You can never go wrong with the long textured pompadour, a style defined by the contrast between the length of hair on top and the shorter sides and back. 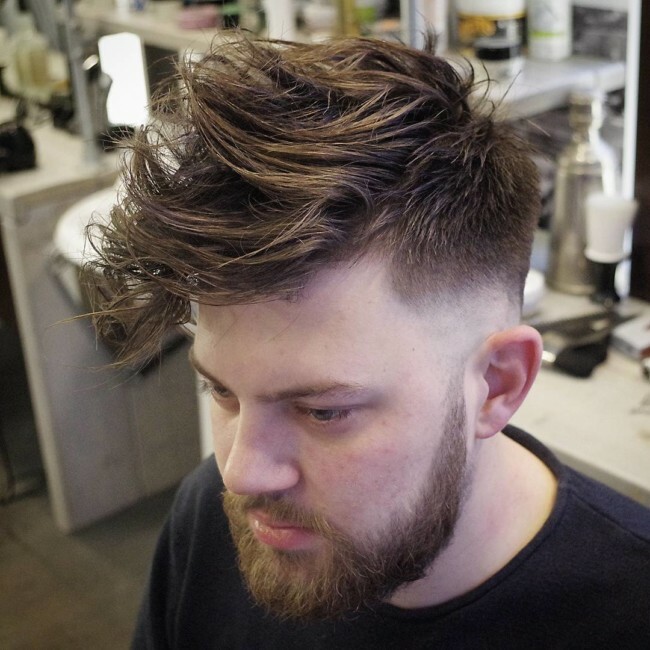 You can derive a textured take by adding some rough to the smooth flow of the pompadour. 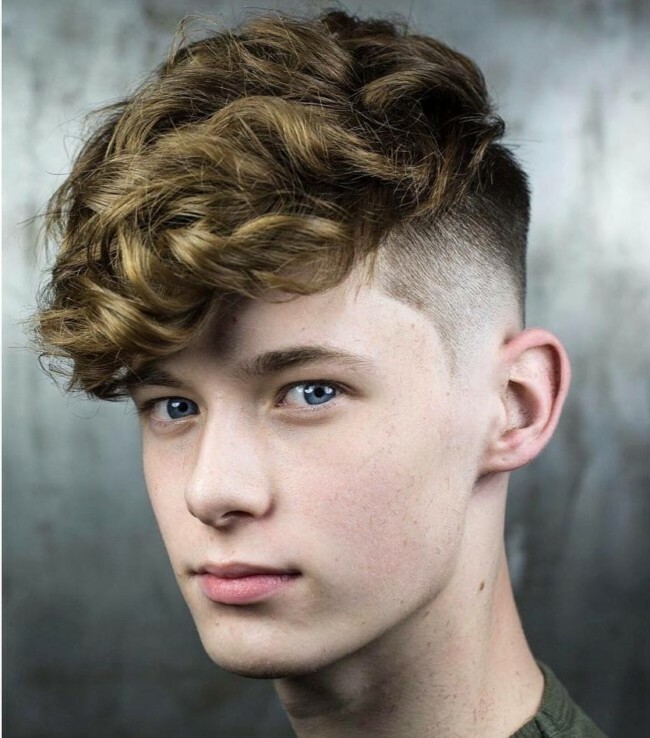 This hairstyle is characterized by thick wavy hair that is swept back using a comb and some little product that creates the curls. It maintains an even hair length that is swept in a single direction towards the back. It is a trendy style built on the concept of having shorter sides and a larger volume of hair at the top. 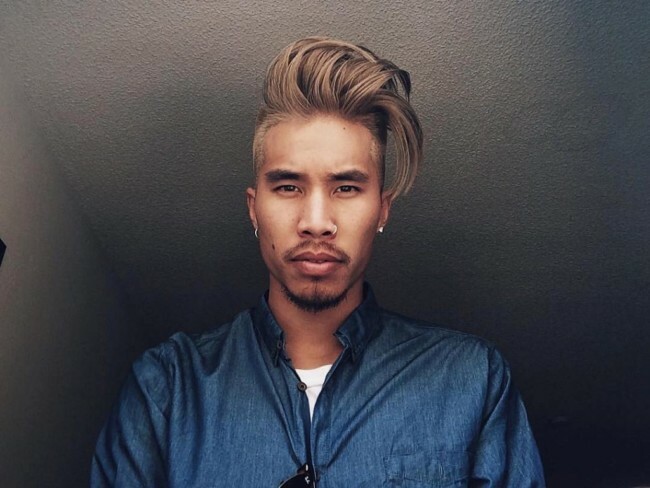 The long hair can be swept to the side to showcase the undercut. 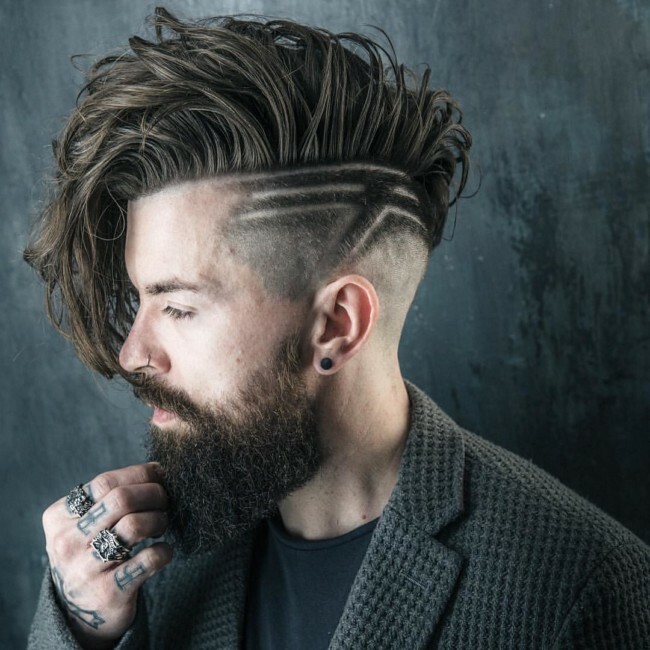 Add some style with a cool design on the side and extended beards. 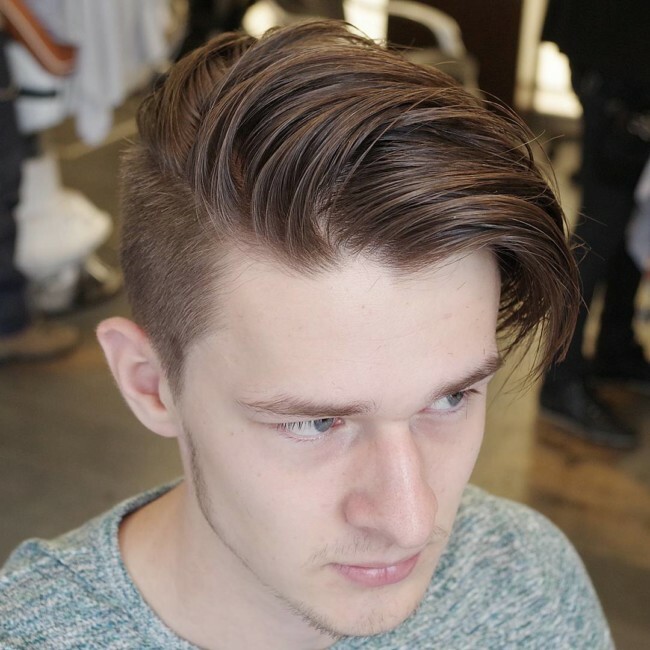 It is a cool long hairstyle for men as it portrays confidence, individuality and simplicity. The messy part shows off a certain amount of contrast on the natural texture of your long hair. 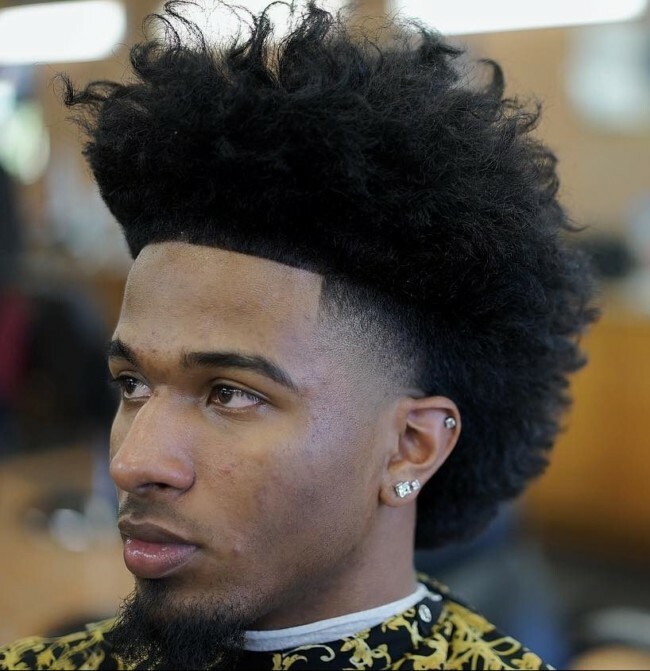 Well known for its high-shine and large volume, the long textured pomp guarantees a slick and shiny finish for men who want a sense of style and class. 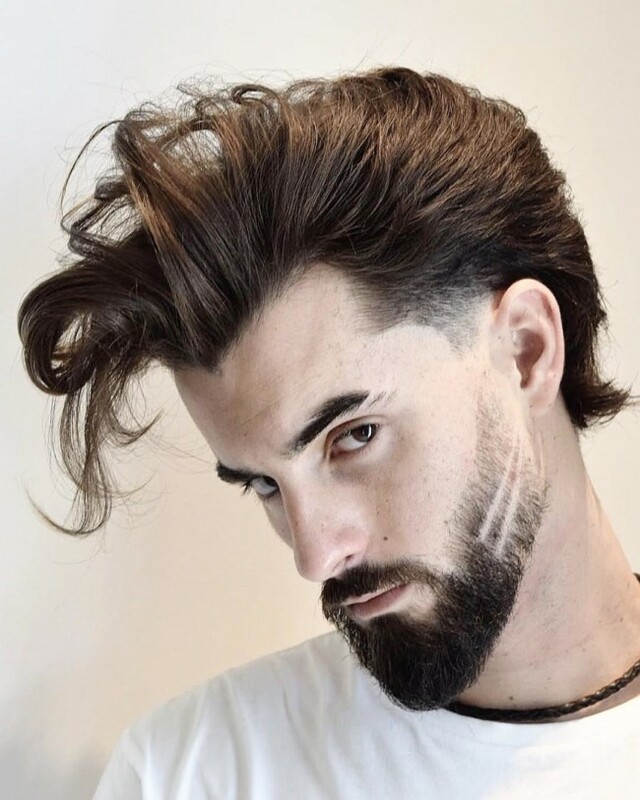 This hairstyle shows how sophisticated long hair can be for men looking for great ideas on having loose straight hair. 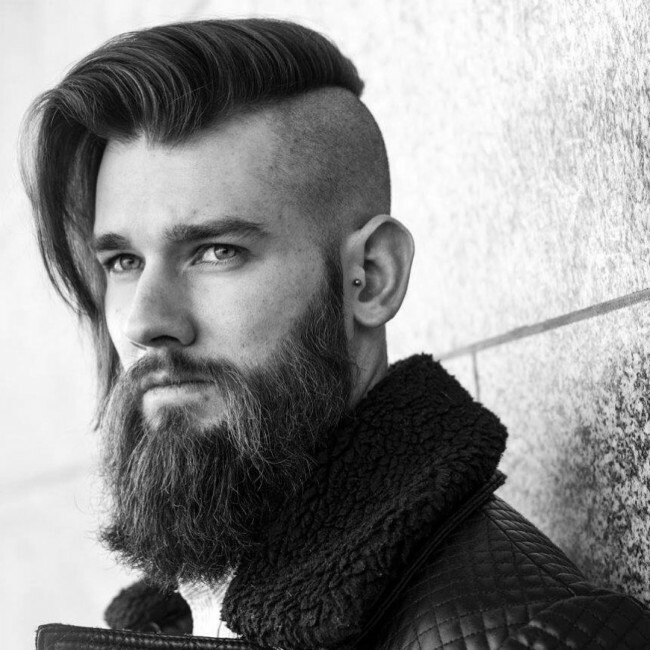 It allows your hair to flow naturally and you can add to the look with a well-trimmed beard. If you want to pull off this look, you need some good length at the top. 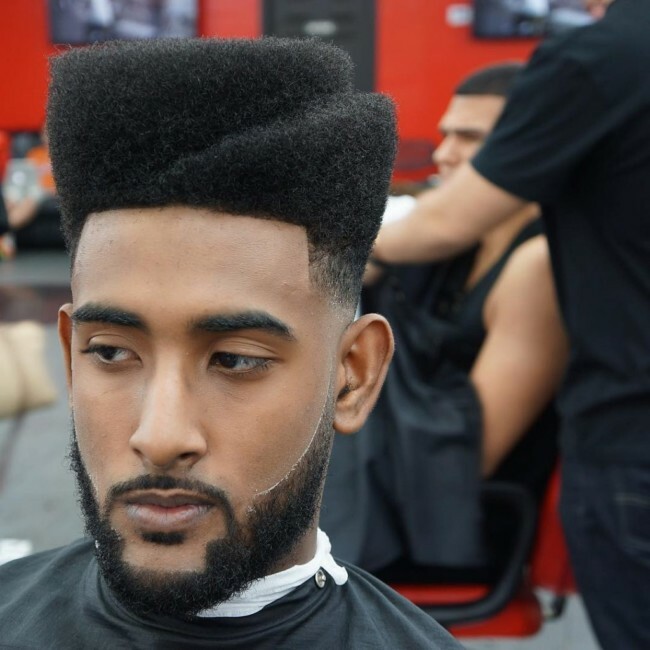 A low fade with disconnected beard highlights the flat top with steps, giving you an awesome look. 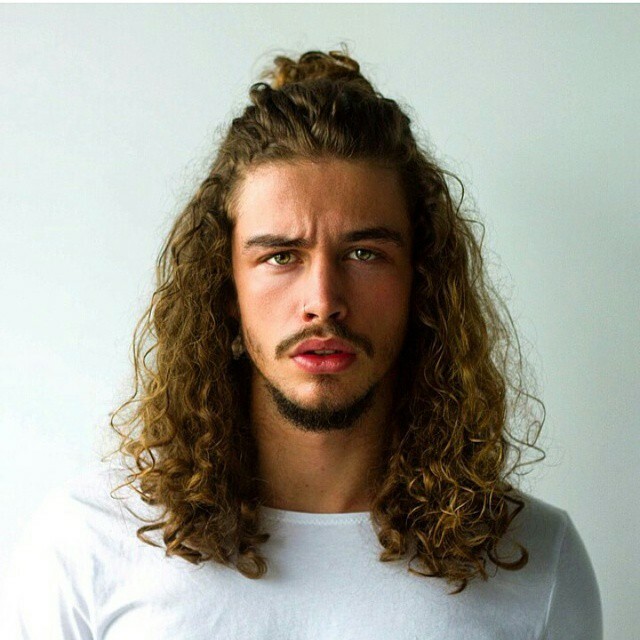 There is plenty of fullness for men with thick and wavy hair. This hairstyle works with long length hair that extends to your shoulders. It requires some maintenance to keep your hair soft and moisturized. The slicked back has been a staple for top celebrities such as David Beckham and Marlon Brando. It combines a high or low fade with long hair running to the back and blends well with a full beard. 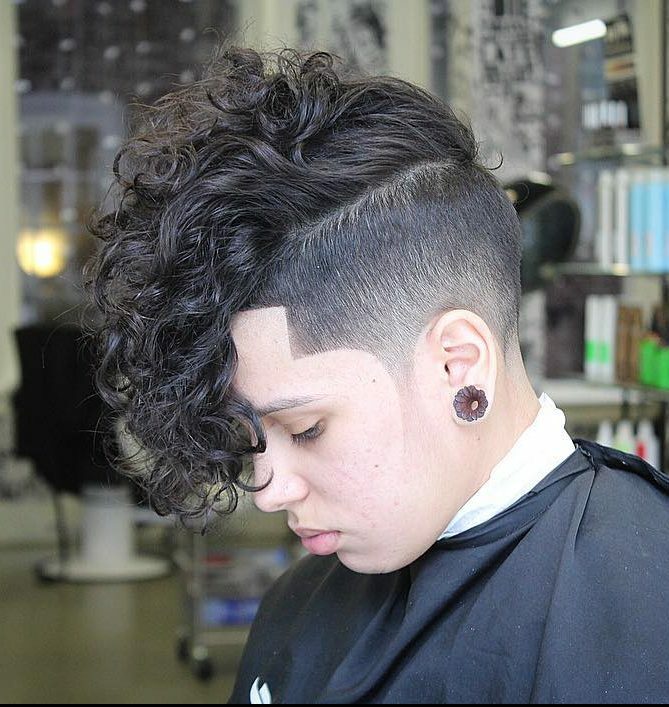 It is probably the most popular and stylish haircut with a high-contrast displayed with the shorter sides and long top. The slicked back undercut requires high maintenance and you can always explore many skillful styles. 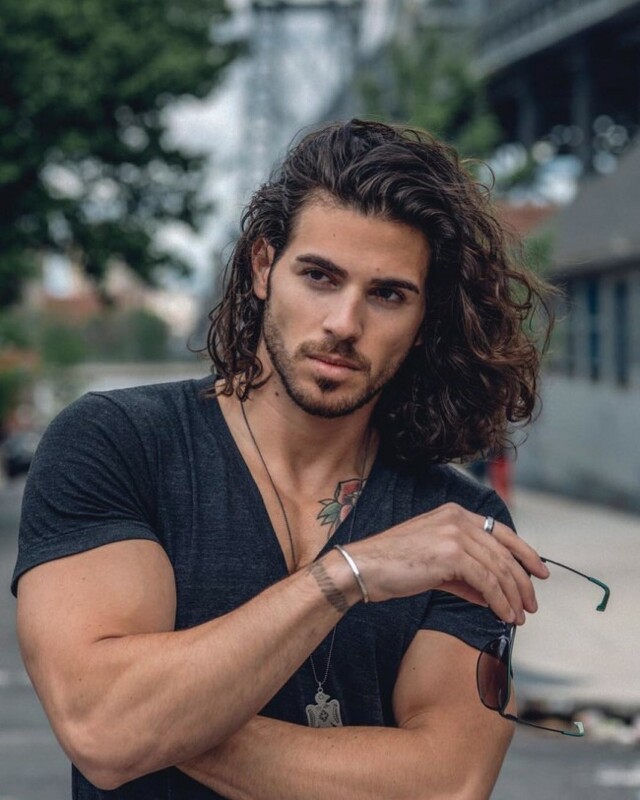 Long hair at the top works well with facial hair when combined together. 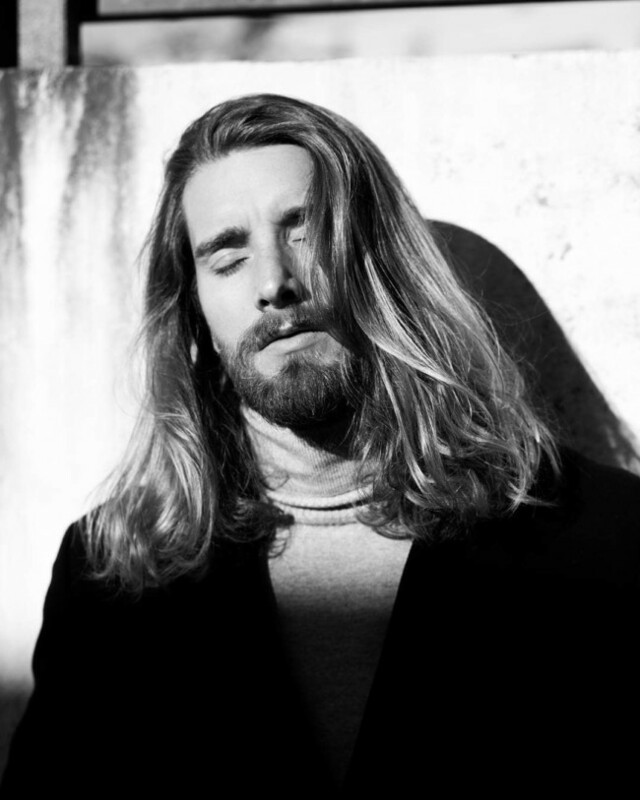 The texture of the neatly groomed short beard contrasts with the texture of long curly hair. You will definitely look at your best as long as you are working with textured and slightly messy hair. 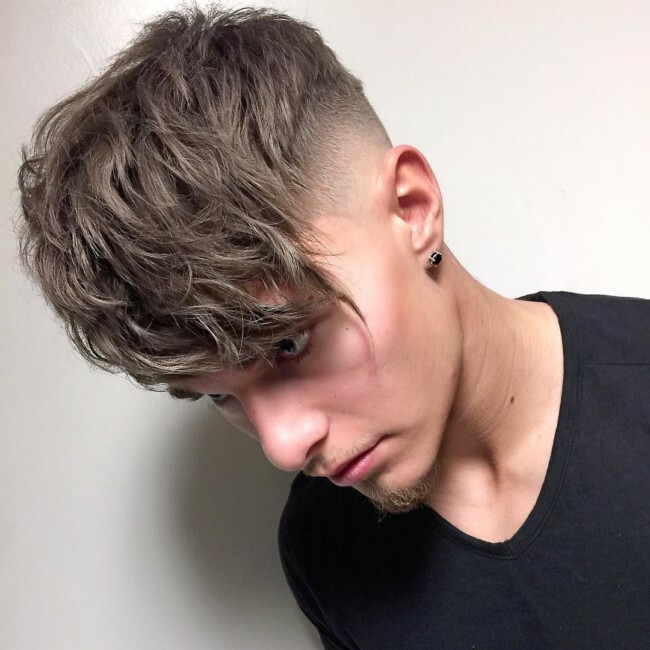 A few things you need to consider with this fringe is the long top concept with a fade on the sides that gives a finish to your overall look. Having a messy hair is not all about leaving your hair short or long to its natural form and shape. The messy look actually needs to be given some styling and direction to achieve the hot look most ladies admire. 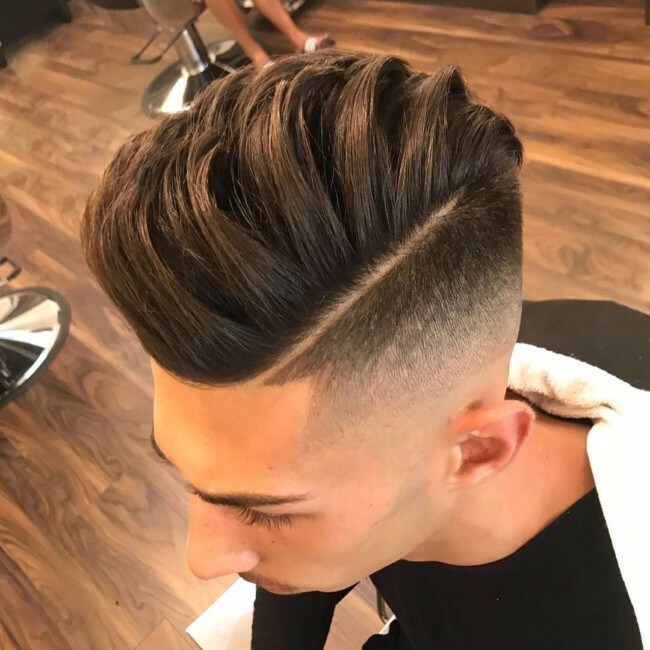 Another unique hairstyle for men that demands volume is the blow out hairstyle. A line up cut with a low bald fade contrasts the look while giving more attention to the top. You can improve your class and style with a messy comb-over. It allows you to retain a parting that is defined yet messy by separating the hair with your fingers. It wasn’t just a passing trend but one of the popular hairstyles for men which has transformed over the centuries to what we see today. 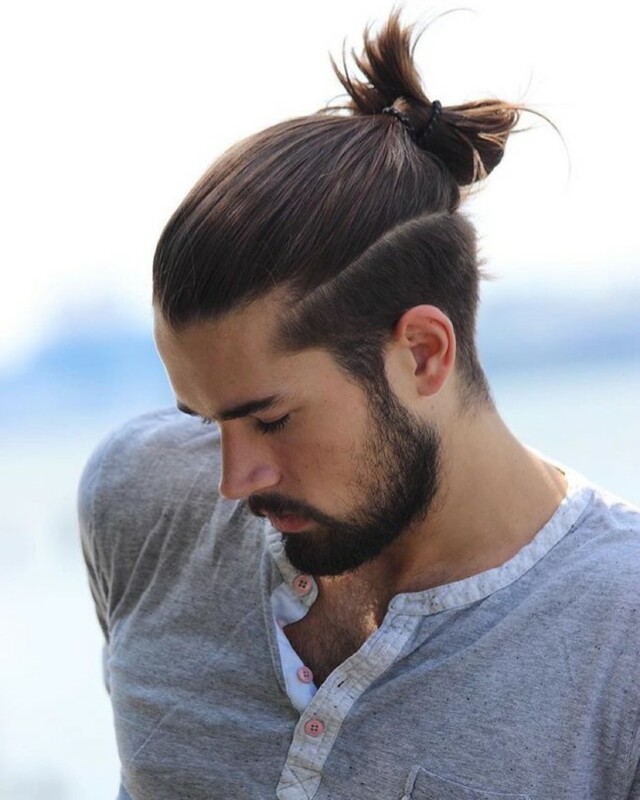 The man bun is a versatile long hairstyle for men that are easy to wear. There are many versions you can take with the long wavy hair. The lighting point of this style is having long curls that extend to the shoulders. You can also add some color to the curly strands of hair to make them more appealing. 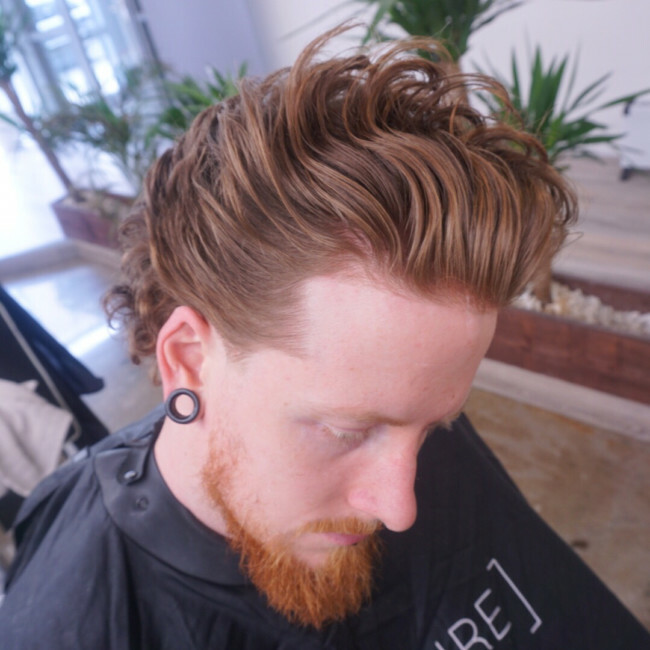 If you want your pompadour to flow in the right direction, you will need the right combination of air movement and heat on this voluminous style. It works well with a disconnected beard and design. The half-up ponytail allows the top section of your hair to be tied back. 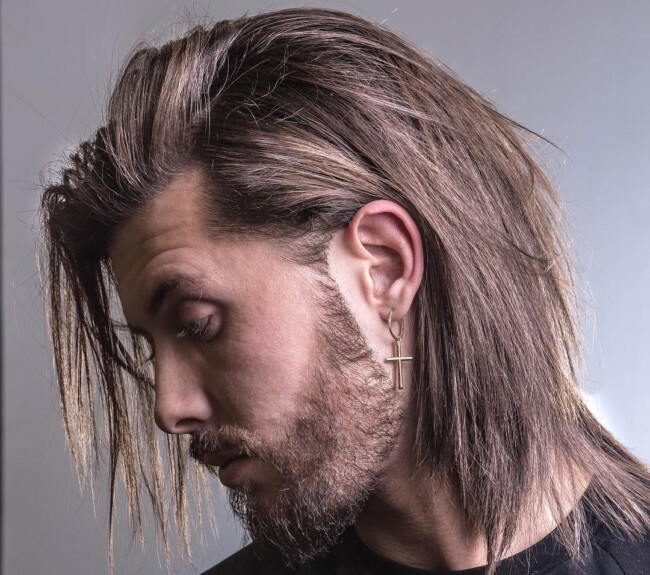 It is one of the coolest hairstyles for men that helps keep long hair out of your face while showcasing the length and texture all at the same time. 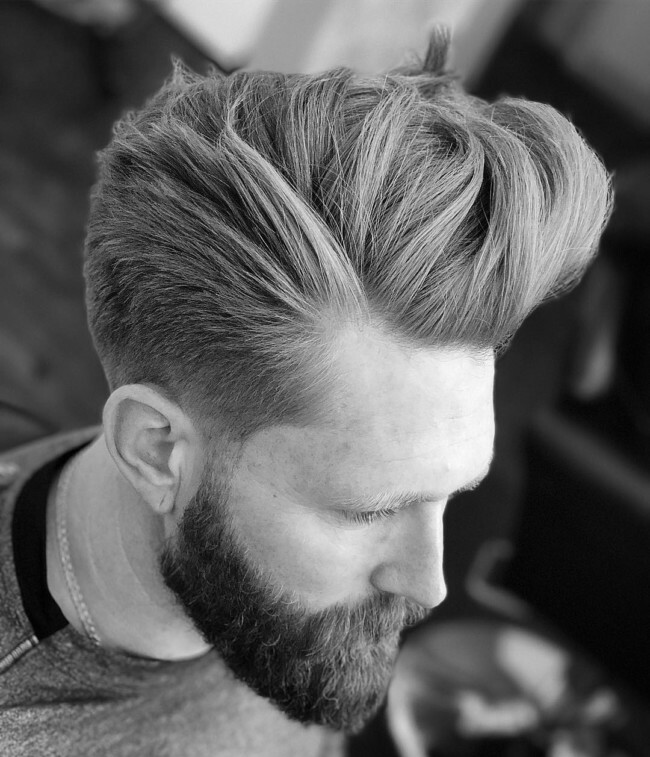 Although it might require some commitment than the shorter variations, the textured pompadour gives a unique appeal to your overall look. 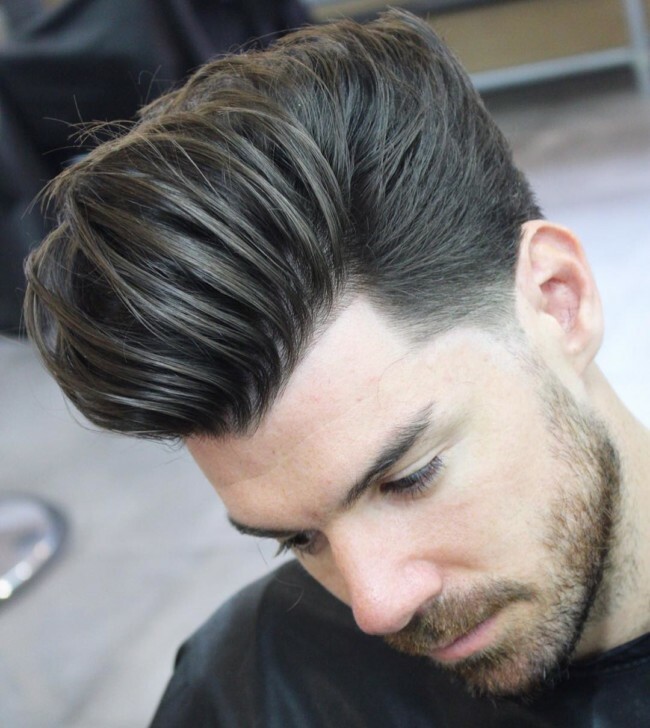 It adds some rough texture for those who find the modern pompadour to be too neat for your taste. Shoulder length haircut is always a perfect way to display to display your natural hair whether it is straight, thick or curly. Long straight hair minimizes the level of maintenance while retaining that awesome look. It might be kind off similar to the man bun but the actual haircut and the point where you tie your hair brings all the difference. 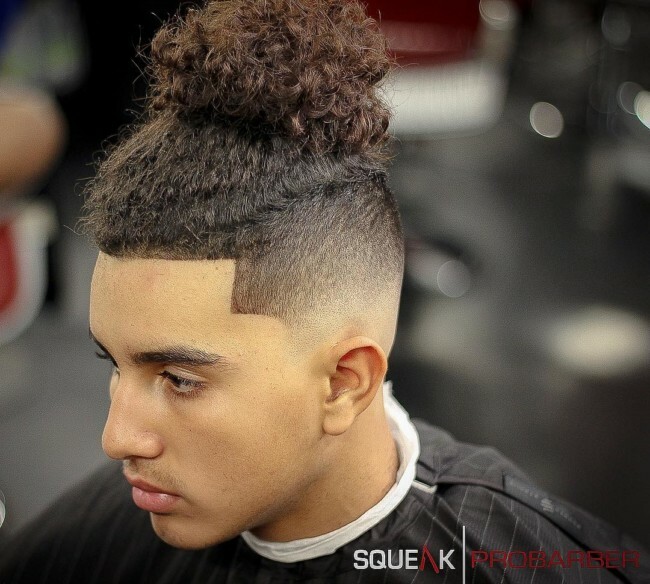 Having short hair on the sides makes the top knot stand out and you can choose from a wide variety of designs. Here is one of the twisted hairstyle common with a twisted character. 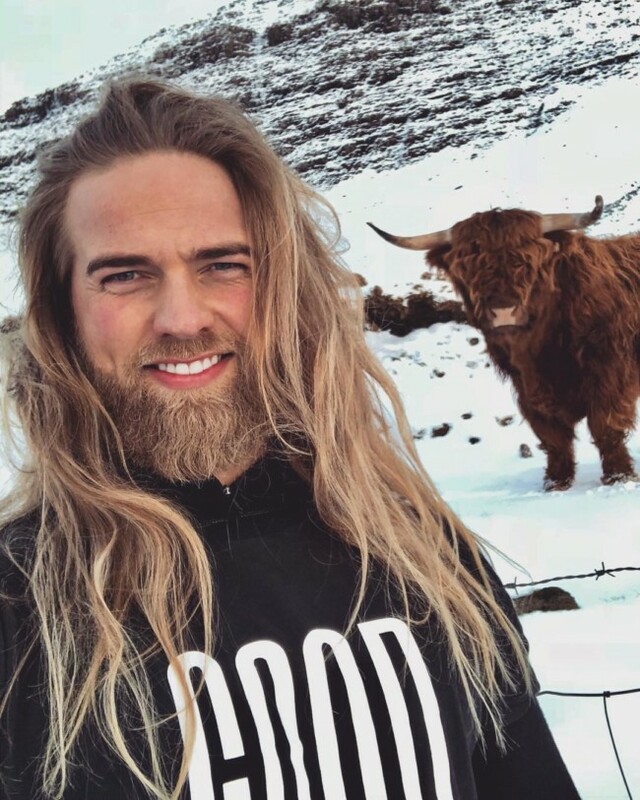 The Viking haircut has become trendy in the last few years for those who liked the way Vikings grew their hair as well as beards. It is one of the long hairstyles for men that have stood a test of time. It merges long wavy hair at the top that forms a fringe with shorter sides that end in a fade. Some color can be added to the fringe to make it stand out. This is a hairstyle that works perfect with a fully grown beard. An undercut highlights the hair on the top that is combed over to the sides to give a finish to your overall look. 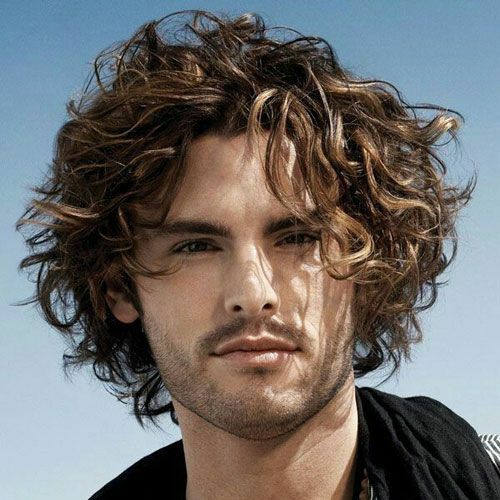 One of the coolest hairstyles for men that give you a striking look is the messy wavy hair. 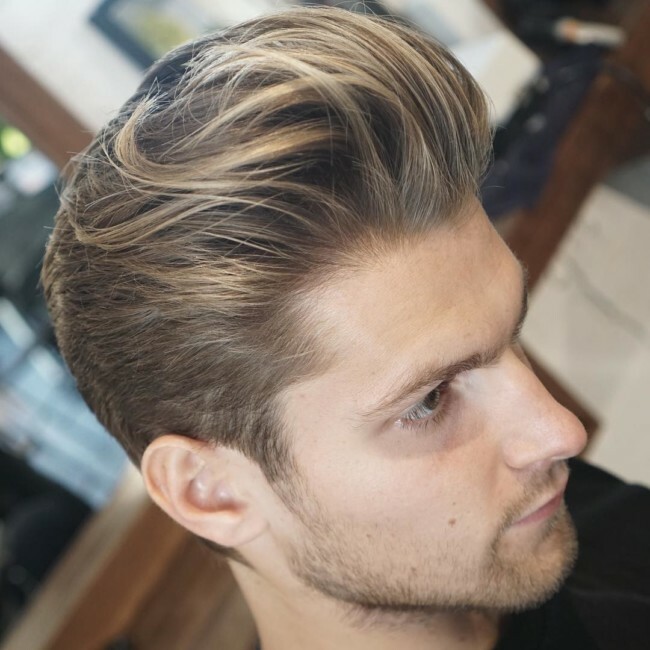 It can blend well with short, medium and long hair and it’s also a popular men’s cut that works with any wavy hair. 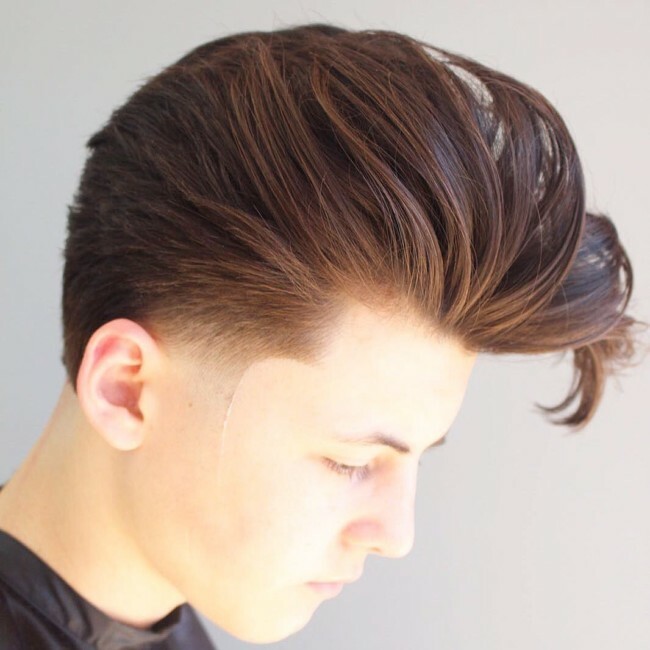 The side part pompadour has always been a cool haircut for men who want class. The part highlights the volume at the top and marks the beginning of the mid-bald fade on the sides. 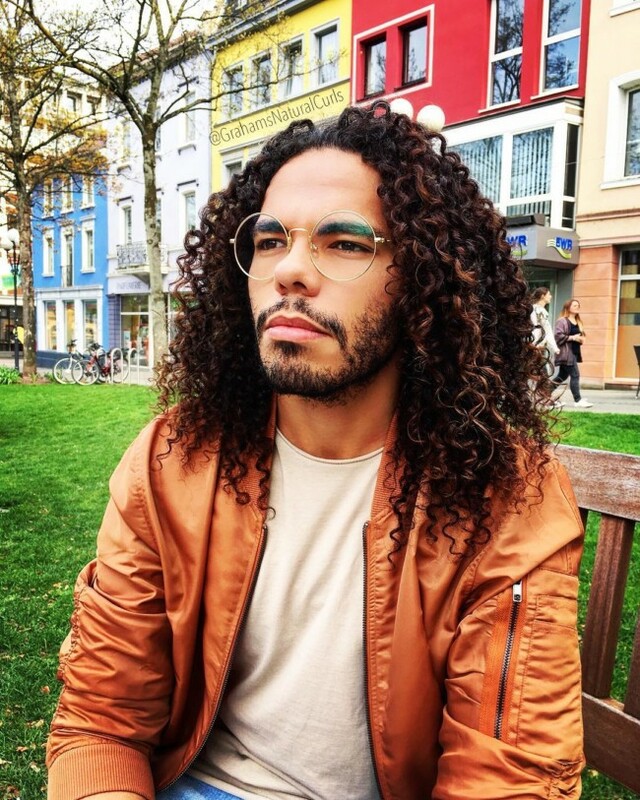 There are diverse options for men who want to achieve long curly hair. This version showcases long curls that stream right from the base all the way down to the shoulders. A neatly groomed beard will determine your overall appearance. 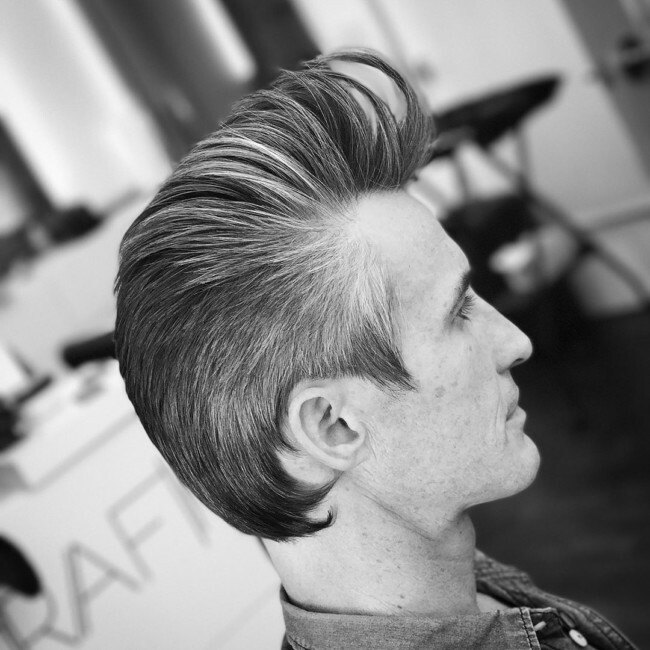 You can also give more detail to your pompadour by making it a little bit messy. The light fade on the sides brings structure to the hair on top, giving a contrasting look. 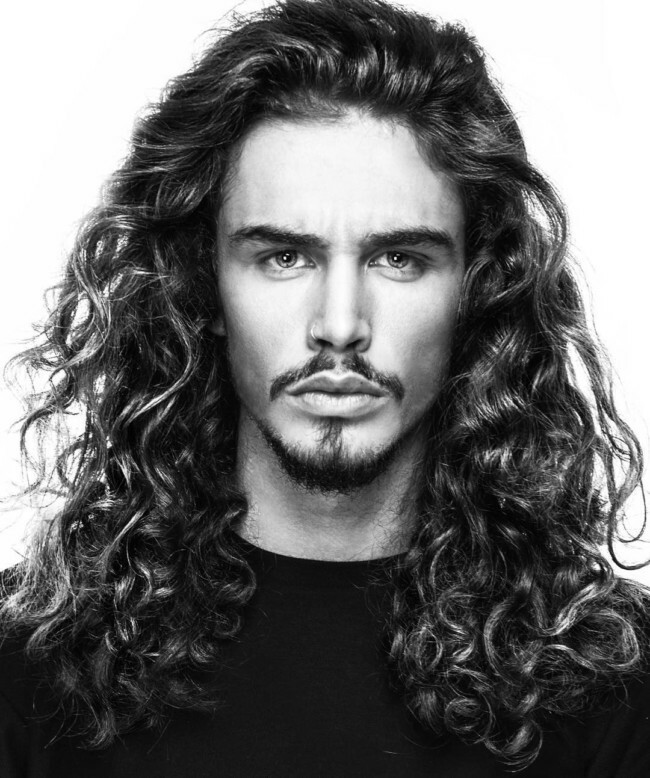 It is one of the popular long hairstyles for men this year featuring long curly hair that forms a fringe at the front. The faded sides and a line up cut are meant to highlight the top while adding more details to the wavy fringe. 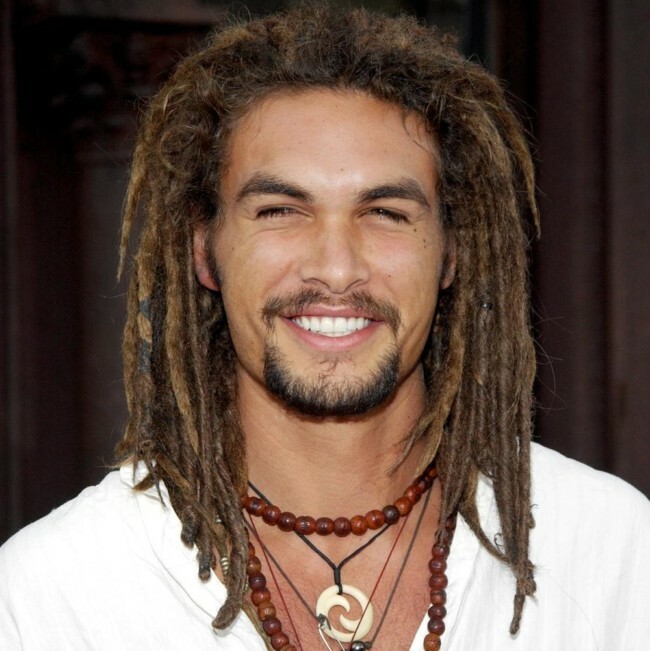 Dreadlocks have never gone out of fashion and they are always versatile to suit any face shape. 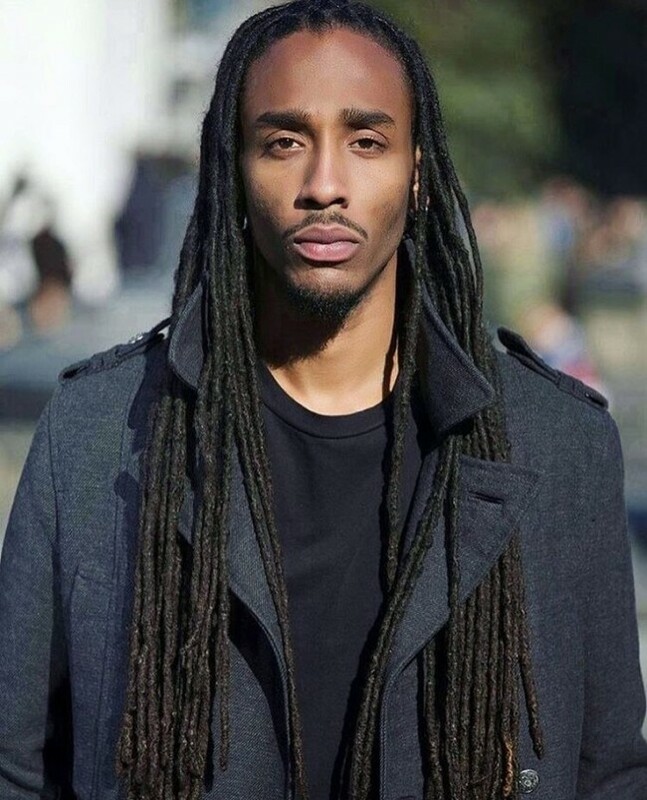 Long dreads are great for men craving for an innovative way to express themselves while embracing the unique style. It might look a little bit crazy but that is what makes it appealing. If you ever wanted to grow your hair long enough, this is one of the best options for you. 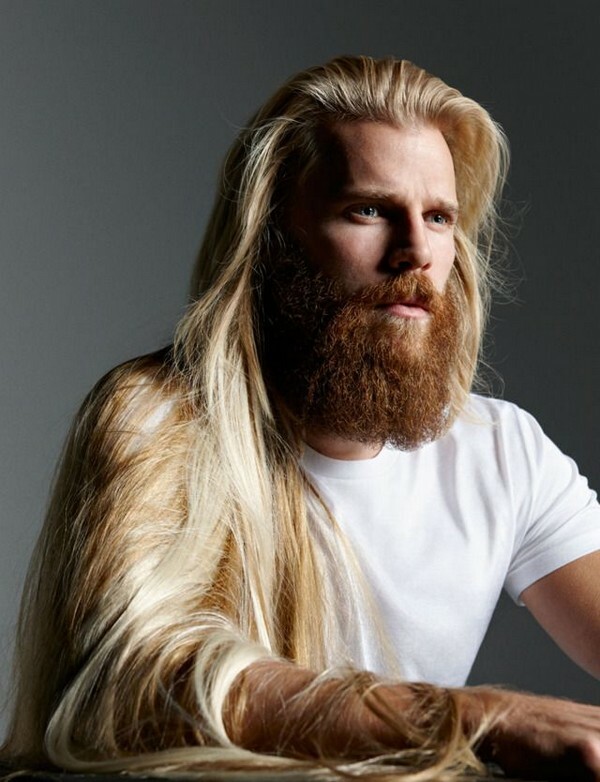 It blends well with the full beard that adorns the long hair. You can easily pull off this hairstyle if you have more than 6 inches of length by simply twisting your hair into a bun on top. 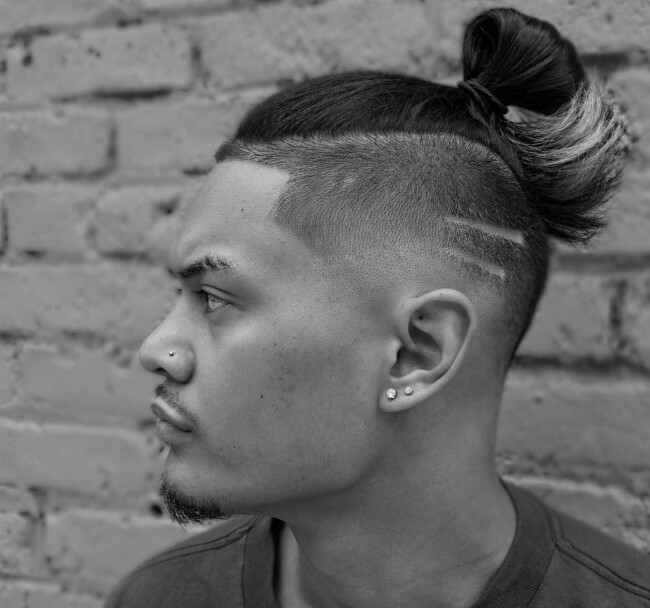 The skin fade is meant to give contrast to your updo while highlighting the details of the overall look of the man bun.